For the BBC radio show and podcast Health Check, broadcast on December 13, 2018: According to the World Health Organisation more than 120 million couples globally want contraceptives but do not have access to them or do not like the existing options. There is clearly a need for something different, but new forms of contraception are slow to come to the market. For several decades, there have been attempts to develop a contraceptive vaccine which works very differently from long-lasting hormonal injections. 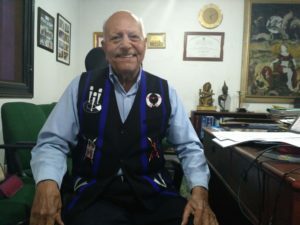 A 92 year-old scientist in India is currently leading the way, although he developed the vaccine more than a decade ago, it was sidelined and neglected. Now it’s getting a reboot. Chhavi Sachdev reports form the city of Delhi.